NASA is officially formulating a mission to robotically refuel an operational satellite in low Earth orbit — a venture that will establish new space capabilities for both NASA and industry. At any given time, there are upwards of 2,000 satellites orbiting our planet, from the Tiange 2 launched by the People’s Republic of China on June 25th of this year way back to the Vanguard 1, which has been in orbit for an astonishing 58 years! A good number of these satellites have reached what is known as their ‘end-of-life’ state, meaning they’ve run out of fuel and have become free-floating space junk. Once a satellite reaches that stage, it can become a danger to other currently functioning satellites, and depending on its trajectory and rate of decay, it can also pose a threat to the International Space Station or even to us on the ground. 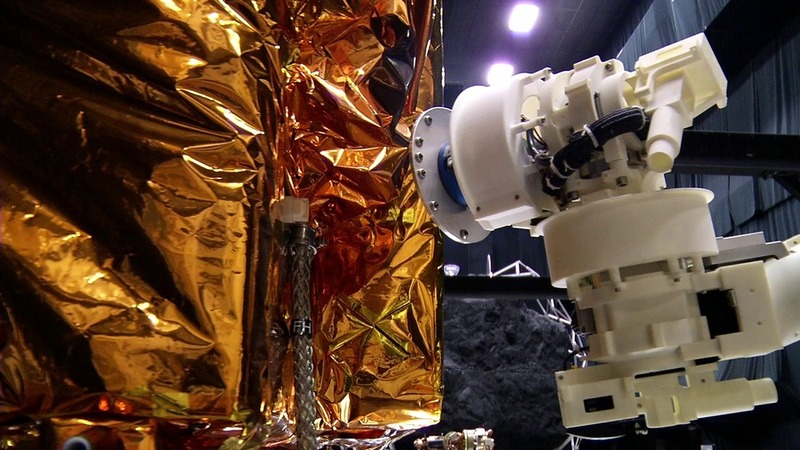 Rather than letting these million-dollar pieces of equipment become space trash, NASA has proposed a new plan: The Restore-L, an unmanned satellite repair and refuelling robot which could greatly extend the life of currently orbiting satellites. Scheduled for launch sometime in mid-2020, Restore-L will be a self-contained repair and refueling station for satellites currently in orbit, whether they were designed to be serviced in orbit or not. Basically what this means is the robotic repair man will have the ability to grab satellites in flight, refuel or repair them as necessary and even relocate them to more stable or higher orbits if it will help to extend their lifespan and functionality. Of course, a new technology like this will need an advanced navigational system that would allow Restore-L to intercept satellites that are traveling at hundreds of miles per hour in order to refuel and complete repairs. Enter Raven, an autonomous navigational system and guidance computer which will launch sometimes this year and will sit outside the International Space Station, providing the necessary targeting and control to allow Restore-L to complete its missions. By launching Raven this year, a full four years before Restore is expected to hit the skies, NASA can perfect their targeting technologies well before they will be needed. Why Should We Be Refueling Satellites? Right now, launching a satellite is an expensive project, ranging anywhere from 50 million to 400 million dollars — and that often doesn’t even include the price of the satellite itself. Since repair missions are usually reserved for places like the International Space Station and the Hubble Telescope, a satellite currently has to be launched with all the fuel and tools it will need to complete its mission. Once a satellite runs out of fuel, its parts seize up due to lack of lubrication or its batteries run dry, that massive investment becomes space junk. By creating a system that can refuel, repair and even relocate satellites to more stable orbits, that multi-million-dollar investment can be stretched for years longer than the original payload of fuel and equipment could have managed alone. Take the Landsat 7 satellite, launched in 1999 by the United States Geological Survey (USGS) to create an archive of cloud-free geographical images. With its sun-synchronous orbit, it circles the entire globe once every 16 days. 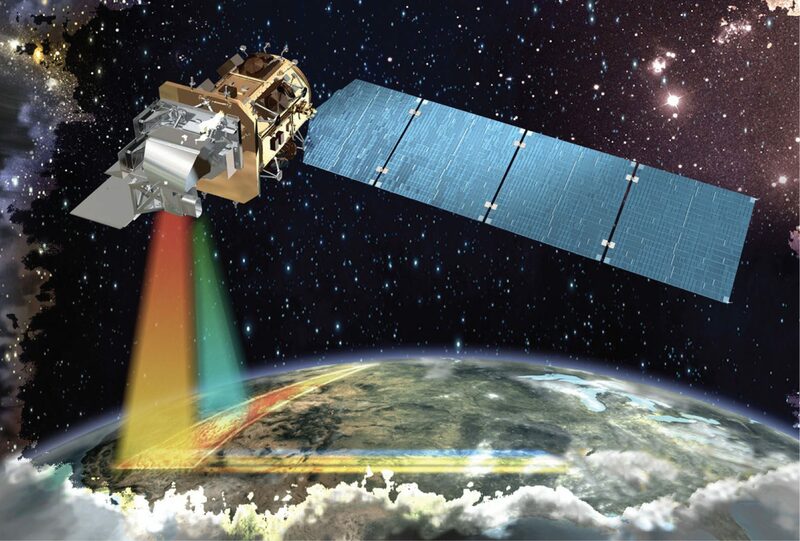 Four years after its launch, Landsat 7 experienced a failure in a key piece of equipment. While it has been functioning since 2003 with that equipment (the scan line corrector) turned off, it did compromise the effectiveness of the photos. Instead of being able to repair this relatively minor error, however, we instead spent nearly a billion dollars assembling and launching Landsat 8 in 2013. One of Restore’s first missions when it launches in 2020 is going to be a refueling and repair trip to Landsat 7. One little repair-bot could potentially save billions of dollars and reduce the amount of space junk orbiting our planet in one fell swoop. Another huge benefit of a program like Restore-L is the potential to reduce the weight, and therefore the cost, of satellite launches. Right now, satellites are launched with a full payload of fuel and equipment and that is expected to last for the duration of its mission. What if, instead, we could launch a bare-bones satellite, which a small amount of fuel and basic equipment, only to have a robot like Restore fuel and supply it once it reached orbit? A single launch, using SpaceX’s Falcon Heavy rocket for example, could carry all the necessary fuel and supplies, with the smaller reusable Falcon-9 rockets hauling the satellites themselves. Privatizing space travel, like SpaceX and other similar companies are trying to do, may be the best way to help us explore the galaxy, but when it comes right down to it, NASA is still going to be the one that paved the way. Innovations like Restore-L prove they’re still a source of genius to be reckoned with, and this one concept could change the way we handle and launch satellites forever. India’s New Space Shuttle — Cheaper Than SpaceX?